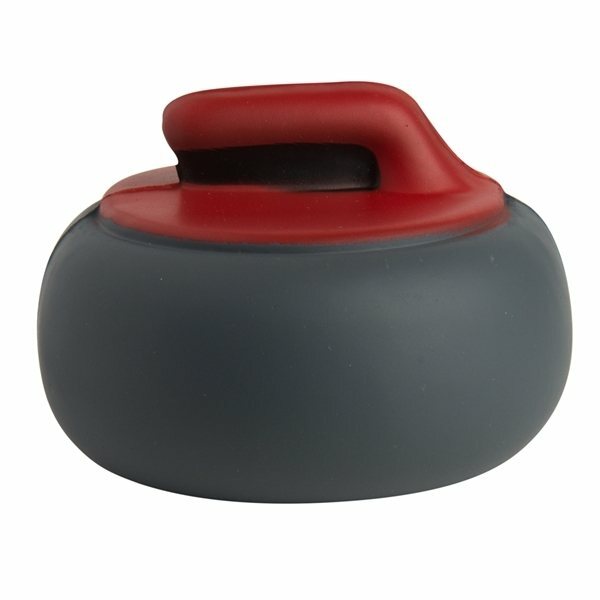 Curling rock shaped stress reliever, 2.5" diameter x 2". Curling is one of the fastest growing sports in the United States! The perfect giveaway to promote the sport of curling. the ornament was better than expected. I don't think there is anything I don't like about it. Happy using the product! thank you for always help us print these logo. I wish to buy more of this by Christmas and I hope AnyPromo could provide me more. The ultimate product was great. Very popular item at our outing. I think our competitors were jealous =) the product quality is great,and great service by AnyPromo Order was done quic and was just what I wanted.